In your paper, Frisco’s Mayor Wilkinson offered to give $100 for finding a ski racer that does not smoke pot. No matter how “off the cuff” this comment may have been, it will cost him nearly $20,000 from Team Summit Colorado, alone. We would love the opportunity to line up and introduce our 200+ ski racers at the next town council meeting. Team Summit Colorado athletes, coaches and parents work hard to achieve our mission of “Elevating Youth through Winter Sports” and our athletes abide by our code of conduct, which prohibits the use of alcohol, tobacco and drugs. 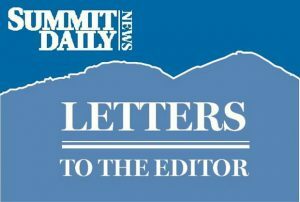 These dedicated and hard-working individuals deserve better from the mayor and from The Summit Daily News. Mayor Wilkinson, your comments do not accurately reflect the culture of ski racing and ski racers in particular. While Colorado voters have legalized marijuana in our state, it does not mean our youth accept or condone what Colorado adults choose to do. Your assessment that all ski racers smoke pot is hurtful, blind and false. I challenge you to come out and talk with our athletes and see for yourself how the demands of ski racing helps set them up for success in so many other aspects of their lives. These athletes are our future, as they will be our community leaders, teachers, scholars and business owners. Summit Daily News, rather than highlight an unfortunate remark made by the mayor, how about covering our sport in your newspaper. Our local Summit County athletes would love to see the newspaper show their successes as they work to achieve their dreams. Come on out to the Summit Foundation Cup this Sunday at Keystone. This series of events has been held in the county for 35 years and yet it is rarely covered in our local paper. How about some positive coverage of our sport, on the eve of The World Championships, when our Colorado mountains and communities will be showcased to the ski racing world?